VA is making it easier to research colleges and employers approved for the GI Bill. Answer just a few questions about yourself and the school/employer you are considering. You’ll receive an estimate of your GI Bill benefits and some information about the facility’s value and affordability. School Indicators - Student statistics including the presence of a Student Veterans Group and VetSuccess on Campus. Caution Flags - Indication VA or other federal agencies applied increased regulatory or legal scrutiny to a program of education. The Department of Veterans Affairs (VA), Department of Education (ED), and Department of Defense (DoD) have been working together to develop and publish outcome measures that are designed to provide Veteran-specific information on approved programs of education. The data is updated annually in September. The Outcome Measure Tool data is based on first-time Post-9/11 GI Bill Servicemembers/Veterans who have not used prior Education benefits. Enrollments at flight/correspondence facilities were not included. Data consists of only Post-9/11 GI Bill enrollments beginning August 2009 and is updated annually in September. All metrics are reported by the school and academic year (AY). AY is defined as beginning on August 1 and ending July 31 of the next year. The 2009 - 2010 academic year is shown as 2009 Cohort in the data, the 2010 - 2011 academic year as 2010 Cohort, etc. For students with multiple Degree/Certificate records, the first reported Degree/Certificate is used to calculate metrics. The Graduation Rate metrics for 4-year Institutions of Higher Learning (IHL) will not be published until 6-year, 150% (September 2016) and 8-year, 200% (September 2018) time frames are met. Transfer-Out Rate only applies to 2-year IHL schools. “No Data” will display when no students were identified that met the established data collection rules within that year. Retention Rate Measures full-time and part-time Post-9/11 GI Bill student's attendance at the same institution over time. Persistence Rate Measures full-time and part-time Post-9/11 GI Bill student's attendance at multiple schools over time. Transfer-Out Rate Measures full-time and part-time Post-9/11 GI Bill students who transfer within 150% (3 years) and 200% (4 years) of normal program length. Graduation Rate Measures full-time and part-time Post-9/11 GI Bill student's graduation reported within the VA system while the student is using benefits. Certificate of Completion Measures full-time and part-time Post-9/11 GI Bill Student Veterans’ certificate of completion at an approved school (which is not an Institution of Higher Learning) that is reported within the VA system while the student is using benefits. The Post-9/11 GI Bill provides financial support for education and a housing allowance to qualifying individuals with at least 90 days of aggregate service after September 10, 2001, or individuals discharged with a service-connected disability after 30 days. You must have received an honorable discharge to be eligible for the Post-9/11 GI Bill. Children of a member of the Armed Forces who died in the line of duty on or after September 11, 2001, may be eligible for Post-9/11 GI Bill benefits under the Marine Gunnery Sergeant John David Fry Scholarship Program. Post 9/11 GI Bill recipients serving on Active Duty (or transferee spouses of a servicemember on active duty) are not eligible to receive a monthly housing allowance. You can use the Post-9/11 GI Bill at colleges, universities, trade schools, and for on-the-job training, apprenticeship, and flight schools. To see what programs are currently approved for VA benefits, go to our website. You can use the Post 9/11 GI Bill for tutorial assistance, licensing/certification tests (attorney license, cosmetology license, etc.) and national exams (SAT, LSAT, etc.). The Post 9/11 GI Bill Comparison Tool uses a list of schools offering approved programs from VA’s database. The GI Bill Comparison Tool will update its list of approved programs quarterly. However, new information is added to the VA database every day. Click here to access a list of approved schools by state. Students training solely by distance learning may receive a monthly housing allowance equal to one-half the national average military Basic Allowance for Housing (BAH). Accreditation matters if you plan to start school at one institution and transfer to another to complete your degree. Be sure to ask any potential school about their credit transfer policy. The U.S. Department of Education (ED) maintains a database of accredited postsecondary institutions and programs. Accreditation is a recognized credential for schools and some programs. As stated by the ED, the goal of accreditation is to ensure that the education provided by institutions of higher education meets acceptable levels of quality. Is the school regionally or nationally accredited at the institution level? The GI Bill Comparison Tool utilizes ED’s database of accredited postsecondary institutions and programs which is updated every three months. The tool checks to see if the school is accredited at the institutional level by either regional, national or hybrid accreditors. If the school has both regional and national accreditation the tool lists the school as regionally accredited. Hybrid agencies are recognized for the accreditation of both specialized programs at larger institutions and for the accreditation of freestanding institutions. The GI Bill Comparison Tool matches VA approved schools with ED’s database of accredited postsecondary institutions and programs using a data crosswalk that matches VA facility codes to ED’s IPEDS codes and ED’s OPE IDs. Is the school’s accreditation on probation for any reason? To see more information about the school accreditation status, please visit ED’s database of accredited postsecondary institutions and programs. This tool allows Veterans, Servicemembers and eligible family members to estimate their GI Bill benefits. The total amount of tuition and fees paid to a school on behalf of a student during the previous fiscal year (October 1st through September 30th). Which GI Bill benefit are you thinking of using? You may be eligible for several types of VA education and training benefits depending on when and how long you served. There are several things to consider before you apply for a GI Bill program. One person may benefit more by using the Montgomery GI Bill while another may make an irrevocable election and use the Post-9/11 GI Bill instead. This tool allows you to compare the different programs and make an educated decision on which benefit best suits your needs. If you are a transitioning Servicemember or Veteran with a service-connected disability, you may be eligible to apply for the Vocational Rehabilitation and Employment (VR&E) Program by visiting http://vabenefits.vba.va.gov/vonapp/main.asp and submitting an on-line application, VA Form 28-1900. A VA Counselor will determine if you are entitled to services and assist with comparing education benefits. If you have questions regarding the application process, please call 1-800-827-1000. Are you eligible for the Post-9/11 GI Bill? To be eligible for the Post-9/11 GI Bill you must have at least 90 days of aggregate active duty service after September 10, 2001, or have been discharged with a service-connected disability. You must also have received an honorable discharge. You can be eligible while on active duty if you have completed at least 90 days of service. 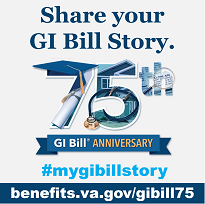 To learn more about the Post-9/11 GI Bill please visit https://www.benefits.va.gov/gibill/post911_gibill.asp. The REAP program pays benefits to eligible Reservists or Guard members who were called or ordered to active duty for at least 90 consecutive days in response to a war or national emergency declared by the President or Congress. REAP payment amounts are based on length of consecutive days of active duty service with rates increasing at one year and again at two years of consecutive service. To learn more about REAP please visit https://www.benefits.va.gov/gibill/reap.asp. Did you participate in buy-up program? Some Servicemembers may have contributed an additional $600 to the GI Bill to receive increased monthly benefit payments. This increased monthly benefit is only applicable to the Montgomery GI Bill or REAP. To learn more about the Buy-up program please visit https://www.benefits.va.gov/gibill/resources/benefits_resources/rates/600_buyup.asp. All tuition & fee benefits are paid directly to the school. VA pays the in-state tuition & fee rate at public schools, private and foreign schools are capped at the national maximum rate. Click here for more information. Your Monthly Housing Allowance (MHA) is generally the same as the military’s Basic Allowance for Housing (BAH) for an E-5 with dependents. Your MHA is based on the ZIP code for your school. MHA rate increases are effective August 1 (the beginning date of the academic year). For more information about MHA increases or decreases click here. A yearly book and supplies stipend of up to $1,000 paid proportionately based on enrollment. Enter the total you expect to pay for books and supplies for the year. When you select some schools we import the average cost for books and supplies for an undergraduate student as reported by the school to the Department of Education through IPEDS. This is the same information that is published on College Navigator. From IPEDS: "The average cost of books and supplies for a typical student for an entire academic year (or program). Does not include unusual costs for special groups of students (e.g., engineering or art majors), unless they constitute the majority of students at an institution." If the school you selected does not display any books and supply costs, note that some schools are not required to report that information to the Department of Education. Foreign schools, high schools, on-the-job training and apprenticeship programs, residency and internship programs, and those who do not charge tuition and fees were not asked to comply with the Principles of Excellence. While every effort has been made to ensure the accuracy of the information, prospective students should only use this as a planning tool. The Principles of Excellence schools will be updated quarterly. Only Veterans entitled to the maximum benefit rate (based on service requirements) or their designated transferees may receive this funding. Active duty Servicemembers and their spouses are not eligible for this program (child transferees of active duty Servicemembers may be eligible if the servicemember is qualified at the 100% rate). This information will be updated quarterly. The number of Veterans, Servicemembers and family members utilizing their GI Bill benefits attending this institution the previous calendar year. This number includes all the different chapters of the GI Bill (e.g., Post-9/11, Montgomery GI Bill: MGIB, Reserve Education Assistance Program-REAP, and Vocational Rehabilitation). Please keep in mind that we include this number for informational purposes only and that high or low numbers of VA beneficiaries attending a particular school is not an indication one school is more military friendly than another. This information will be updated annually. Schools disclose key institutional performance metrics, including graduation and loan default rates as well as the median amount of Federal loans borrowed by students at the institution and the corresponding estimated monthly payment over a 10 year period. Schools that only offer graduate programs are not required to report these rates and will be shown as “Not Reported.” School indicators are then evaluated against other schools. Users interested in further school-specific information may wish to visit the Department of Education’s College Navigator website for a more complete set of indicators. The GI Bill Comparison Tool relies on data crosswalk between the Department of Veterans’ Affairs list of approved programs and employers (45,000+) and the Department of Education’s lists of schools. If the school indicators for a particular institution are not correctly labeled, please let us know by emailing 223D.VBAVACO@va.gov with “Comparison Tool” in the subject line (see “Source Information” below for more details). The graduation rate displayed is for first-time, full-time degree or certificate-seeking undergraduate students who began at the institution. For primarily bachelor’s degree-granting institutions, the graduation rate displayed is for students beginning in Fall 2005 and seeking a bachelor’s degree. For primarily associate’s degree-granting institutions and primarily certificate-granting institutions, the graduation rate displayed is for students beginning in Fall 2008. Loan default rate refers to the institution’s three-year Federal student loan cohort default rate. This is the percentage of an institution’s borrowers who entered repayment on certain Federal student loans in federal fiscal year 2009 (between October 1, 2008 and September 30, 2009) and defaulted before September 30, 2011. The national cohort default rate is also displayed. Data used to calculate an institution’s cohort default rate comes from the U.S. Department of Education’s National Student Loan Data System (NSLDS). For more information about the cohort default rate, please visit http://www2.ed.gov/offices/OSFAP/defaultmanagement/cdr.html. Does this college/university have a student led student veterans group on campus? If a school has a student veterans group that is not represented on the comparison tool, please let us know by emailing us at 224A.VBAVACO@va.gov. Based on your feedback, we will be making quarterly updates to the GI Bill Comparison Tool. Please note this email address is only for website related issues, all questions regarding GI Bill benefits should be directed to the “Ask a Question” section of our website. The VetSuccess on Campus (VSOC) program aims to help Veterans, Servicemembers, and their qualified dependents succeed and thrive through a coordinated delivery of on-campus benefits assistance and counseling, leading to completion of their education and preparing them to enter the labor market in viable careers. Read the VetSuccess on Campus (VSOC) fact sheet. If you are attending a public school, are you considered an in-state student? Enter the total tuition/fees, you will be charged for the academic year. When you select some schools, we import the average tuition/fees for an undergraduate student as reported by the school to the Department of Education through IPEDS. This is the same information that is published on College Navigator. If the school you selected does not display any tuition /fees, please keep in mind that some schools are not required to report tuition/fees to the Department of Education. Enter amount of tuition/fees your school charges in-state students. When you select some schools, we import the average in-state tuition/fees for an undergraduate student as reported by the school to the Department of Education through IPEDS. This is the same information that is published on College Navigator. Does your school participate in the Yellow Ribbon Program? How much will you be receiving in Yellow Ribbon support from your school? VA matches each dollar of unmet charges the institution agrees to contribute up to the total cost of tuition and fees. Are you receiving any scholarships and grants this year? If so, how much? Please only include scholarships and grants that go directly to pay tuition/fees. Are you receiving any military tuition assistance this year? If so, how much? The Post-9/11 GI Bill pays the net-cost of your education after scholarships or financial aid amounts are applied. This includes amounts already paid by military tuition assistance. Are you considered a full-time or part-time student by your school? Students attending school less than full-time receive a pro-rated monthly housing allowance. Students attending school exactly ½ time or less do not receive a monthly housing allowance. Is your school on a semester, quarter or non-traditional calendar system? How many hours per week will you be working on your OJT / Apprenticeship? Beneficiaries working less than 120 hours/month (or approximately 30 hours/week) receive a prorated monthly housing allowance. Are you eligible to receive a kicker bonus? A kicker bonus is an additional incentive, paid for by the Department of Defense, to extend a tour of duty or retain highly skilled military personnel. The money is a bonus on top of any GI Bill payments paid directly to the Veteran. A dependent is defined as a child, stepchild, spouse, or the un-remarried widow(er) of the Veteran. The Post-9/11 GI Bill benefits calculator is a useful tool to estimate how much your Post-9/11 GI Bill benefits will cover at a particular institution. The results of the GI Bill benefits calculator are not an official determination of benefits. VA Complaints: The number of closed, Principles of Excellence-related, complaints submitted to VA through the GI Bill Feedback system. To learn more please visit https://www.benefits.va.gov/GIBILL/Feedback.asp. The number of closed, Principles of Excellence-related, complaints for schools with the same six-digit OPEID code. To learn more please visit https://www.benefits.va.gov/GIBILL/Feedback.asp. Approved GI Bill Programs, Veteran indicators and the crosswalk between VA and ED’s list of schools (updated May 2015): Excel format . If you have any feedback about approved GI Bill programs, Veteran indicators or the crosswalk please let us know by emailing 223D.VBAVACO@va.gov with “Comparison Tool” in the subject line. Please keep in mind that the crosswalk between the Department of Veterans Affairs list of approved programs and employers (45,000+) and the Department of Education lists of schools (7,000) continues to be a work in progress. Any feedback on that crosswalk is appreciated. The GI Bill Comparison Tool data files will be updated quarterly. If you have any feedback on the school indicators from the Financial Aid Shopping Sheet please contact the Department of Education directly. The Department of Education updates the data for the Financial Aid Shopping Sheet annually. These are indicators VA has determined potential students should pay attention to and consider before enrolling in a program of education. A caution flag means VA or other federal agencies like the Department of Education or Department of Defense have applied increased regulatory or legal scrutiny to a program of education. VA will display other categories of caution flags in future releases of the GI Bill Comparison Tool. On March 6, 2019, the Receiver for Argosy University and The Art Institute of Pittsburgh, The Art Institute of Las Vegas, and The Art Institute of Seattle, filed a motion with the court requesting permission for an emergency closure of the 22 campuses of Argosy and the DCEH-owned Art Institute campuses by Friday, March 8, 2019. Additionally, ED has become aware that the administration at various individual Argosy and Art Institute locations sent emails regarding this possibility to students and staff. Although the court has not yet granted the Receiver’s motion to close the campuses, ED recognizes that an imminent closure is a distinct possibility and is providing additional information for students. If you have questions about this process, or if you are experiencing difficulty attempting to enroll at another institution and your eligibility for federal student aid is being impacted by the funds disbursed at Argosy and Art Institute, you are encouraged to contact Federal Student Aid online at StudentAid.gov/feedback or by calling 1-844-651-0077 Monday through Friday from 8 a.m. until 8 p.m. Eastern time. Heightened Cash Monitoring (HCM) is a checks-and-balances process that allows the Department of Education to provide additional oversight over institutions for a number of financial or federal compliance issues, some of which may be serious and others that may be less troublesome. The Department of Education has the authority to place an institution on Heightened Cash Monitoring (HCM). Their website further explains HCM and contains a list of institutions on HCM as of June 2015. HCM1: After a school makes disbursements to eligible students from institutional funds and submits disbursement records to the Common Origination and Disbursement (COD) System, it draws down Federal Student Aid (FSA) funds to cover those disbursements in the same way as a school on the Advance Payment Method. HCM2: A school placed on HCM2 no longer receives funds under the Advance Payment Method. After a school on HCM2 makes disbursements to students from its own institutional funds, a Reimbursement Payment Request must be submitted for those funds to the Department. Some schools are flagged due to preliminary findings made during a program review that is still open. Those findings could change when the program review is completed. Accreditation Problems Includes accreditation actions such as the school's accreditation has been revoked and is under appeal, or the school has been placed on probation. Concerns about the institution's ability to manage the Title IV programs including student file maintenance, record retention, and verification. Audit Late/Missing School did not submit their audit by the due date and is considered not financially responsible. Audit - Severe Problems School has severe audit findings which could include financial statements, internal controls, and compliance with laws, regulations, and provisions of contract or grant agreements. Default Rate A school's cohort default rate for Perkins loans made to students for attendance at the school exceeds 15% or the cohort default rate for Federal Stafford loans or for Direct Subsidized/Unsubsidized Loans made to students for attendance at the school equals or exceeds 30% for the three most recent fiscal years or if the most recent cohort default rate is greater than 40%. Denied Recertification - PPA Not Expired School's recertification was denied but its Program Participation Agreement has not yet expired. F/S Late/Missing Financial statements were not submitted to FSA by a specific due date, depending on the institution's type (public, private non-profit, proprietary). Financial Responsibility School has a failing or a zone composite score or other concerns such as unreconciled accounts. OIG Under investigation by the Office of the Inspector General. Other (Common Ownership) The common ownership of certain institutions that had issues identified at some of their schools. Other-CIO Problems (Eligibility) Issues identified with information needed on a Change in Ownership application such as missing/incorrect same-day balance sheet or other needed documentation; or an unreported CIO is discovered. Outstanding Liability/Offset School has outstanding liabilities that resulted from an audit or program review. Payment Method Changed Used in various other scenarios not otherwise identified where funds control is needed, such as a foreign school has lost eligibility but provisions allow for additional disbursements to students for an extended period of time. Program Review School is being reviewed by the Department as part of its normal oversight and monitoring responsibilities or as a result of concerns regarding the school’s administrative capability and financial responsibility. Program Review - Severe Findings School has potential of severe program review findings such as failure to make refunds or return of Title IV funds. Provisional Certification School is participating in Title IV programs under a provisional certification which imposes certain restrictions. On November 29, 2017, California Attorney General Xavier Becerra announced he is suing Ashford University, an online for-profit school based in San Diego, and its parent company Bridgepoint Education, for engaging in unlawful business practices. Further action may be ongoing. More information may be found in the California Attorney General’s Press Release. The institution can't or won't accept VA Post 9/11 GI Bill (CH33) processes for issuing tuition and fee benefit payments. The legal authority to approve Ashford University’s online programs for GI Bill benefits rests solely with the State Approving Agency (SAA) of the State where Ashford’s main campus is located. Based on information provided and available to VA, Ashford needs to seek approval in the state where the school’s main campus is located, California. VA issued a 60-day cure notice on November 9, 2017, to Ashford in a final attempt to allow the school to become compliant with the law before discontinuing GI Bill benefits. As part of this same plan, Ashford agreed to apply to California by January 8, 2018, for approval of its online courses, and Ashford applied to California on January 5, 2018. Therefore, at this point in time, VA will continue to pay benefits as long as Ashford continues to make a good faith effort to seek approval in California. It is important to understand that if at any time VA determines that Ashford is no longer making a good faith effort to gain approval in California, VA may be forced to stop making benefit payments. As VA has always maintained, approval by California would resolve VA’s concerns and allow uninterrupted benefits for students attending Ashford. The Iowa State Approving Agency (ISAA) has informed VA that it is withdrawing Ashford University’s approval for GI Bill benefits on September 18, 2016, due to the planned closure of Ashford University's campus in Clinton, Iowa. Ashford University is working with the California State Approving Agency (based on the location of its main campus) to gain approval of their online programs to prevent any disruption in the delivery of benefits to student Veterans and eligible dependents using the GI Bill. The institution or employer was involved in a financial settlement to resolve a dispute between itself and the Federal government. This is intended to settle the disagreement prior to going to trial. The Federal Trade Commission (FTC) has filed a lawsuit against the institution listed. The indicator will describe the practice for which the lawsuit was filed. Further action may be ongoing. More information may be found on the FTC’s Press Release website. The Federal Trade Commission (FTC) has reached a settlement with the institution listed. More information may be found on the FTC’s Press Release website. ED has issued a notice of intent to the institution. The notice of intent details requirements ED is imposing on the institution. Information about the specific issues can be found by visiting ED’s Latest Announcements website. The Secretary of Education has determined that an institution is no longer eligible to participate in Title IV, Higher Education Act programs such as Federal Financial Aid or Pell Grants. Eighty-five percent of the students enrolled have all or part of their tuition, fees or other charges paid for them by VA or students who -- although not receiving any money from VA -- are receiving institutional aid that is restricted to only non-veterans. Title IV Non-Compliant: Status reflects an educational institution that has a signed the Voluntary Education Partnership MOU with DoD. The institution is not currently certified to participate in federal student aid programs but have been provided 18 months to successfully meet the Title IV requirement by DoD (Deadline: 11:59 p.m. EST on January 05, 2016) While in a Title IV Non-Compliant status, the educational institution is NOT authorized to sign up new students using military tuition assistance. However, they may continue to support their existing military TA students. Unless the Title IV requirement has been met, the Title IV Non-Compliant status will be removed and the DoD Voluntary Education Partnership MOU will terminate upon the deadline of 11:59 p.m. EST on January 05, 2016. Institutions are not removed from the Participating Institutions list while in this status. Probation: Status indicates an educational institution that has a signed Voluntary Education Partnership MOU with DoD. However, the institution received official notification disclosing the terms of probation. Probation may be based on potential non-compliance (i.e., loss of accreditation, Title IV/VA disapproval, complaint receipt, or interagency referral) with the DoD Voluntary Education Partnership MOU. While in a Probation status, the educational institution is NOT authorized to sign up new students using military tuition assistance. However, they may continue to support their existing military TA students. Institutions are not removed from the Participating Institutions list while in this status. Suspended: Status reflects an educational institution that does not have a signed Voluntary Education Partnership MOU with DoD. In addition, the institution received official notification of Suspension. Suspension may be based on founded non-compliance (i.e., loss of accreditation, Title IV/VA disapproval, complaint adjudication, or interagency referral) with the DoD Voluntary Education Partnership MOU. While in a Suspended status, the educational institution is not eligible to participate in military tuition assistance. Educational institutions must request removal of the Suspended status from DoD to initiate a new MOU Verification Application. Institutions are removed from the Participating Institutions list while in this status. Terminated: Status indicates an educational institution that does not have a signed Voluntary Education Partnership MOU with DoD. While in a Terminated status, the educational institution is not eligible to participate in military tuition assistance. Institutions are removed from the Participating Institutions list while in this status. Terminated status is based on the educational institution’s desire to terminate or expiration of the Voluntary Education Partnership MOU term (typically 5 years) without renewal. Educational institution may initiate a new DoD MOU Verification Application from their dashboard while in a Terminated status. To learn more please visit DoD’s FAQs about the Voluntary Education Partnership MOU. See the impact of the Department of Education’s ruling regarding Accrediting Council on Independent Colleges and Schools (ACICS). If you experience technical issues or have feedback on how we can improve the GI Bill Comparison Tool, please send us an email at 223D.VBAVACO@va.gov with “Comparison Tool” in the subject line. Based on your feedback, we will be making quarterly updates to the GI Bill Comparison Tool. VA is dedicated to providing access for everyone. We support the goal of access for everyone by providing services and strategies to implement the goals and objectives of the Section 508 legislation. The Comparison Tool is accessible to users utilizing assisted technologies, such as screen readers, screen magnifiers and voice recognition. Answer just a few questions about yourself and the school/employer you are considering and you’ll receive an estimate of your GI Bill benefits and some information about the facility’s value and affordability. The only required field for the comparison tool to work is the school/employer name. Education Service focuses on supporting the Secretary's goals in the advancement of people with disabilities. We work to increase awareness of accessibility issues for VA stakeholders, both internal and external.